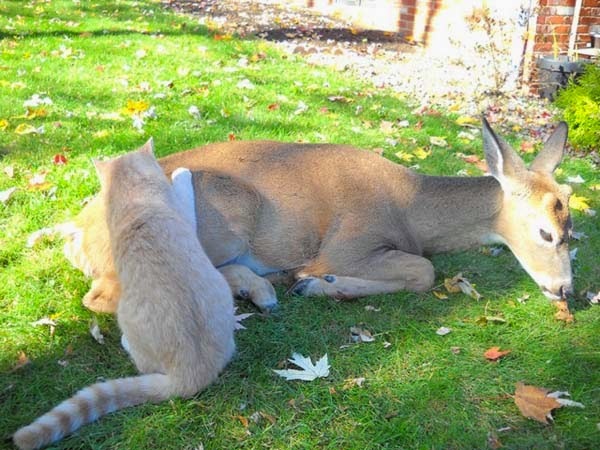 Wait Till You See What This Cat’s Owner Found Him Doing. And The Best Part? It Happens Every Day. 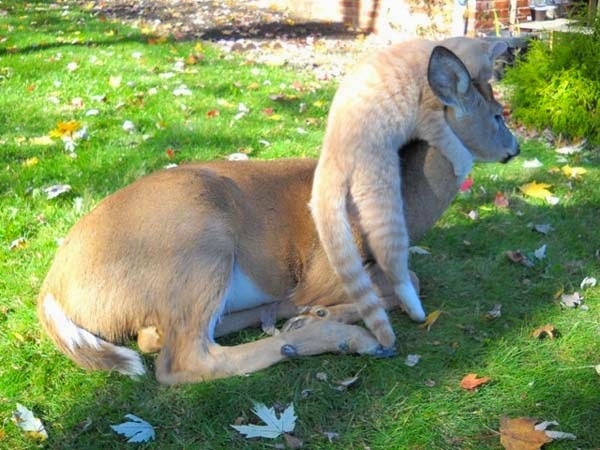 Every morning, one pet owner in Pennsylvania noticed that his cat was going missing. Curious as to what his little kitty was up to, he began following him. What he found was the sweetest thing. 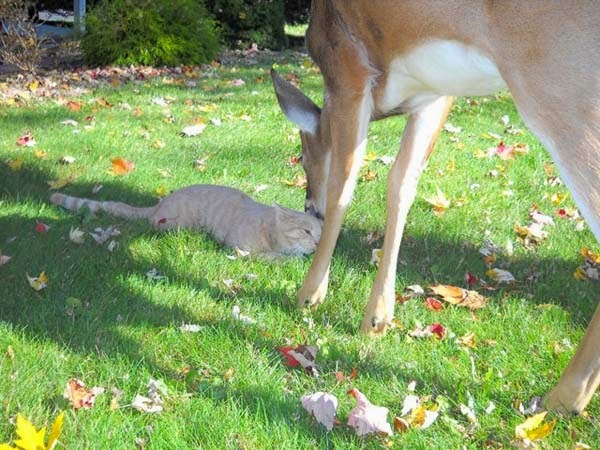 His cat befriended a wild animal and they met every morning… for snuggles. 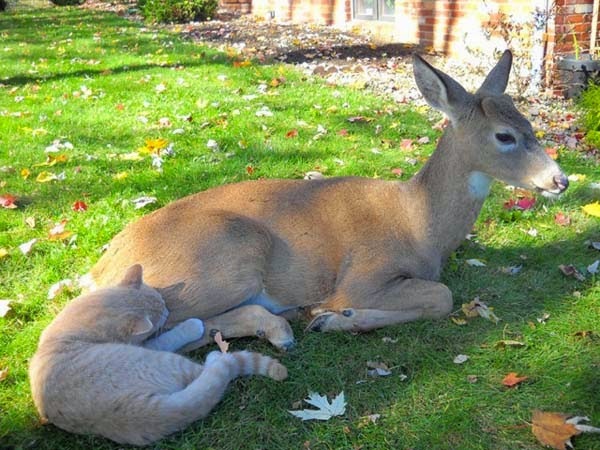 Early every morning, one house cat gets a special visit from his wild deer friend. Real friends cuddle each other’s heads. How about a back massage? 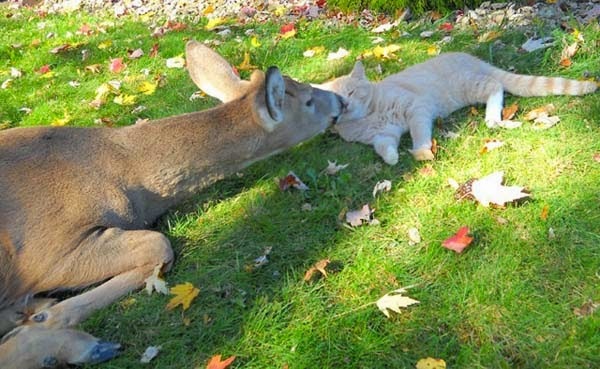 This kind of friendship lasts FURever!